Made of food grade material, sanitary, durable, cocktail shaker with measurement, not easy to break, not easy to get deformation. 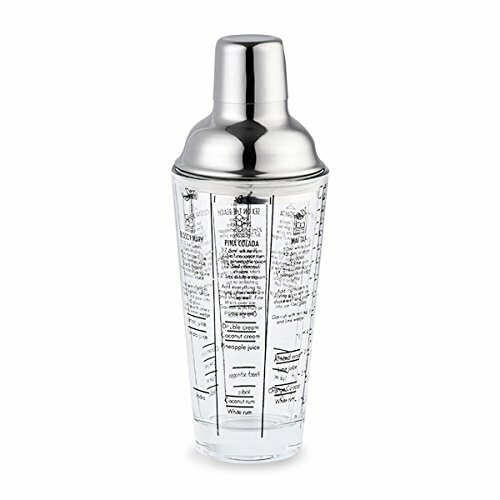 400ml/14oz cocktail shaker for quickly blending mixed drinks. Glass Bottle with Measure: perfect for making appropriate amount of liquor. Stainless Steel Lid: leak-proof, watertight seal prevents spills; allows severe shaking. Great Bar Tool for Bar, Restaurant and Home Use. If you have any questions about this product by OUBORUI, contact us by completing and submitting the form below. If you are looking for a specif part number, please include it with your message.